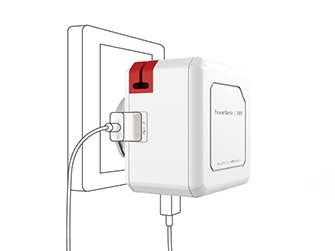 These ports function for data transfer as well as for charging, offering a solution for the lack of USB ports on contemporary devices. 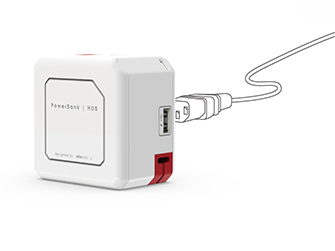 The PowerUSB |HUB| and PowerUSB|Portable| can be plugged into a wall socket, enabling you to charge all your mobile devices even faster. 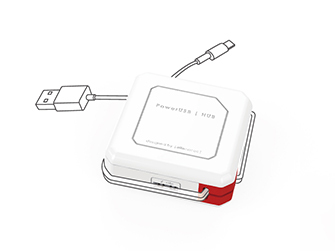 The PowerUSB |HUB| and PowerUSB|Portable|are compatible with all our other products, enabling you to create a tailored solution. 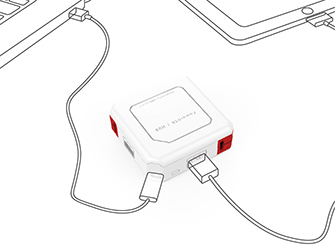 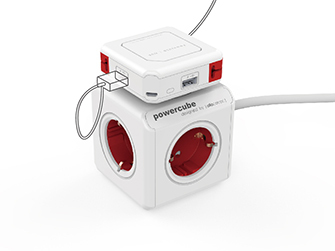 A cable fix is integrated into the corners of the PowerUSB |HUB| and PowerUSB|Portable|, making sure that your cables do not entangle.